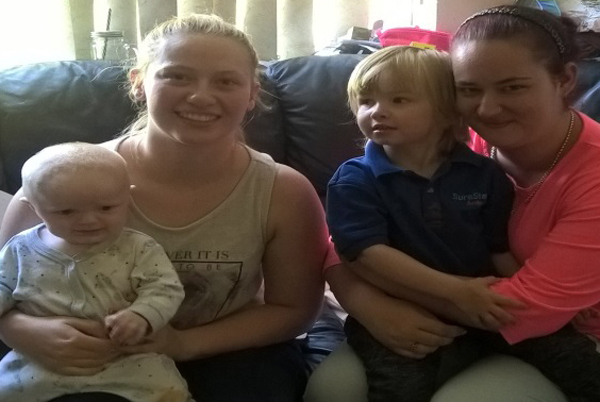 People 1st helps young mums along path to employment through the Community Family Support Programme, which supports families to make life changing decisions to improve their daily lives. The Community Family Support Programme is part funded through the Northern Ireland European Social Fund Programme 2014-2020 and the Department for the Economy. "I am a single mum of one little boy. At the time of starting the programme I was 22 and my boy was 1. I wanted to get into education but I didn't have the knowledge or money for further education. I had no help with my little boy who has Sensory Processing Disorder. "Carmel from People 1st was able to find the right course for me and a grant for the course. She also tutored the Award in Employability Level 1 with me at home, it was brilliant and allowed me to advance my career. My little boy has advanced so much as I had a lot of help getting to appointments. I now run my own group in a church working with kids and their parents to help them socialise with each other and I love it. "My little boy is now fully ready for nursery in September. I really appreciate all the help I have received and would 100% recommend the programme to anyone." "I live with my partner and two sons in Newtownards. My partner is the only one that works. The programme gave me confidence to think about getting back to work and helped me to budget my money. "In the future I hope to begin a course with Open University to study Psychology to give my family a bright and successful future. Carmel and Colleen from People 1st were really nice and I loved working with them."